The 32-year-old singer was being rushed through a building in New York City yesterday (27.08.13) for his appearance on live radio, but after meeting Tina DiLascio, who told him her 13-year-old daughter Giana underwent major brain surgery last year to repair a blockage, he delayed his interview to greet the brave youngster. The pop superstar asked Tina if he could see Giana - who is a make-a-wish child - before waiting patiently for several minutes while she rushed off to get her offspring, who was among the adoring fans outside the building. Tina told TMZ that "Giana and Justin chatted for several minutes. 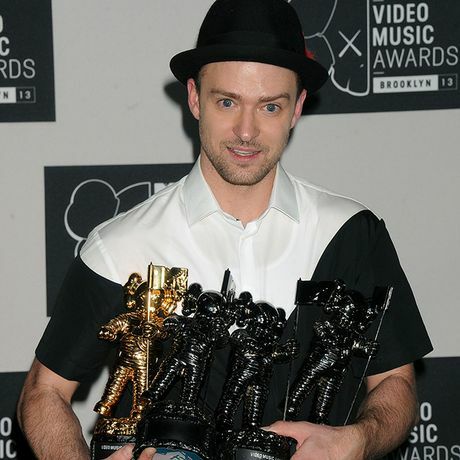 JT asked if she watched the VMAs and she lit up, telling Justin, he's 'The next Michael Jackson,' to which JT bowed his head and said, 'Thank you.' "